Regional journalists are being urged to help celebrate the golden anniversary of Teeline shorthand’s use in journalism training. 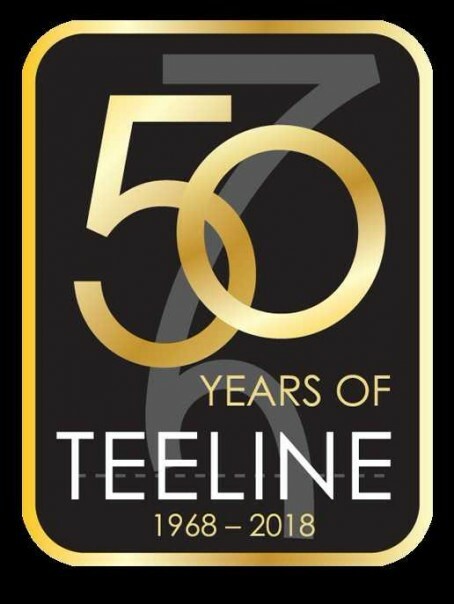 The National Council for the Training of Journalists is marking 50 years of Teeline with a number of activities throughout 2018, including a special ‘Tee party’ celebration at the NCTJ’s annual shorthand seminar in June. The NCTJ is also calling on journalists, students and tutors to join their #showusyourTeeline social media campaign by sharing photos of themselves using, learning and teaching Teeline shorthand, and will be sharing its word of the week with a different Teeline outline being posted on its official Twitter channel each Monday. In addition, all shorthand certificates issued in 2018 will feature the below anniversary logo. Teeline was developed by James Hill, who was born near Bradford in 1908 and qualified as a teacher of Pitman shorthand by the age of 21. Hill began experimenting as early as 1939 with a new form of shorthand, and he began to teach unofficial, experimental classes to day-release journalism trainees at Clarendon College, Nottingham, in 1966. In 1968 the system was recommended to the NCTJ, and in November 1968 was endorsed by the training body’s shorthand consultant Harry Butler. Piers Morgan, who completed his NCTJ training at Harlow College and is currently a presenter on ITV’s Good Morning Britain, said: “I was taught Teeline at Harlow by the legendary June Beavers, and it has always stood me in very good stead. Tape recorders are great until they don’t work, as I once discovered when I interviewed Rod Stewart for an hour and later could only hear my voice. “Having an ability to take fast contemporaneous handwritten notes as a backup to technology is invaluable. I still use Teeline on Good Morning Britain during a big breaking news story live on air when I want to make a note of a powerful quote, and repeat it very soon afterwards. Reporters with Pitmans were highly regarded during my training. Harder to learn but capable of faster speeds. Any dinosaurs remember that? It took me four or five times to pass the NCTJ’s 100wpm Teeline shorthand test back in 1991. A lot of hard work, time and focus – and initial struggles when trying to get up for the daily 9am Teeline class. But I’ve used it almost every working day since. I would recommend any would-be journalist to take it. Courts, moving subjects in noisy rooms and unexpected phone calls are three everyday occasions when it trumps technology. You can’t beat Pitman, Paperboy – it certainly defeated me. I learnt Pitman’s back in 1965 when I started in journalism and still use it today. My first chief reporter was a shorthand examiner for the NCTJ. It was a great help in getting me some shifts in the Parliamentary section of The Times back in the 1980s. Boy was it tested, though, when Thatcher and Kinnock were ding-dinging at each other – but The Times expected you to get it all down verbatim for the Parly page. The Parly team was huge and during PM question time we did “shifts” of five minutes at a time because the pace was too fast to keep up with it for much longer. Even though I am retired I still take notes on the phone in shorthand and write out the shopping list etc in shorthand as I do most of the shopping in our household. My wife despairs, though, when I write out driving routes in shorthand and forget to translate it !! !For what it is worth I have continued the habit of doing some practice each morning – and I still get some outlines wrong. Bit like a language I suppose. By coincidence I worked in the 70s at The Press Association where the night news editor Harry Butler was one of those credited with having invented Teeline but I never got round to that. I used the wrong word to describe Harry Butler as having been one of those credited with inventing Teeline. I should have said – as someone earlier wrote – that he endorsed the system. Also, before I retired a few years ago I was working as deputy news editor on The Scarborough Evening News where the chief reporter, Chris Nixon (who died recently) and I both did Pitmans and managed in the main to read each other’s notes. This dinosaur remembers, Paperboy. I still have my certificate for 130 wpm from the NCTJ block release course at Harris College, Preston, in 1969. Having retired 12 years ago I no longer need my Pitmans, but I still practice automatically with my finger end when I watch the TV news. Digger. At other end of scale I knew a reporter who invented his own system, using it without problems for 50 years including lot of. Court work. But I would not advise it. I learned Pitman in 1966 and eventually I went on an intensive course to teach shorthand. I was told that I had to teach Teeline. To be frank, Teeline lacks the sophistication of Pitman and some of the outlines are very awkward to write at high speed. However, the advantage is that it is quicker to learn. Even so, I find that a lot of trainees just do not do the work required and I have had many a battle with the word ‘drill’. Pitman is a truly beautiful system to look at and I feel it can be read by more than one person if written properly. I have done refresher courses in the past for older writers and it has been lovely! I had one girl over the years who attained 140 wam at Teeline, but hand on heart it has sometimes been a difficult job! However I do have ex students on TV and radio which is very rewarding particularly if I had a ‘battle’ with one of them in the past over their tardiness at drilling! All in all I have enjoyed it all .